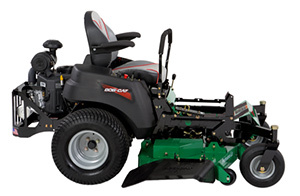 Bob-Cat added 48-inch and 61-inch deck options for the XRZ Pro mower. These deck sizes join the original 52-inch deck. All three models include the TufDeck Pro professional mowing system, featuring a Double-Wave Baffle System, which stands grass up with maximum vacuum, and lift and an oversized polymer discharge chute, the company said. Professional grade spindle assemblies like larger professional models. In addition to the new decks sizes, the Bob-Cat XRZ Pro now features the Mow with Confidence limited warranty of up to six years or 1,000 hours. Bob-Cat also offers zero percent financing for up to 54 months on new mower purchases.